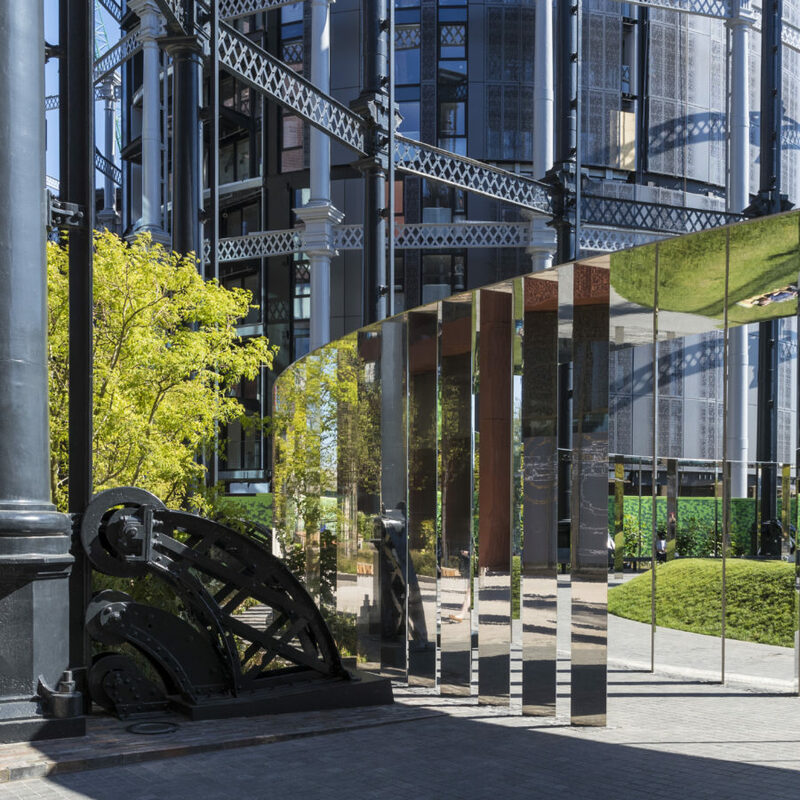 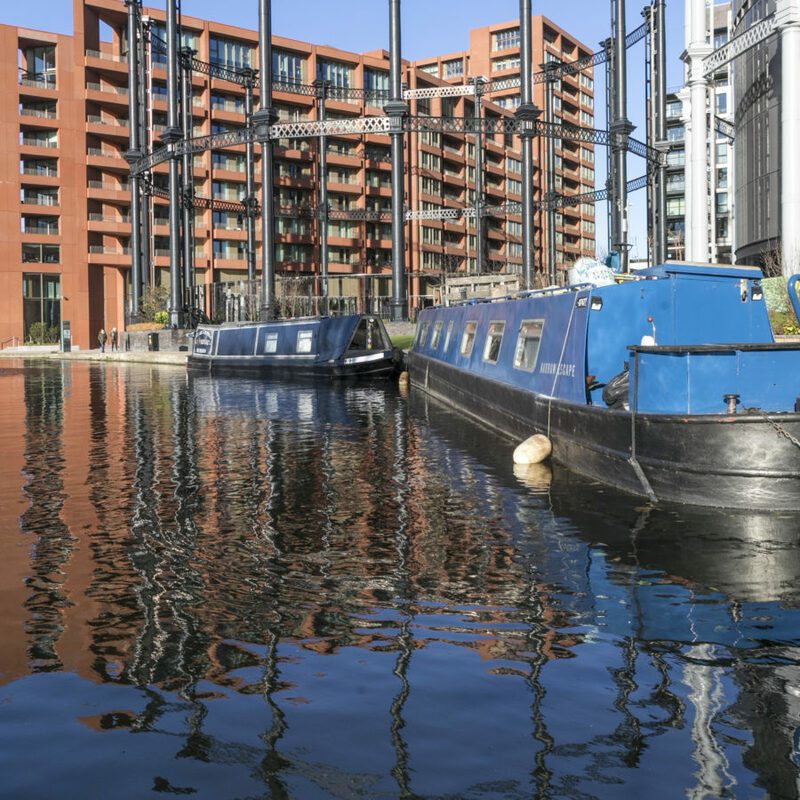 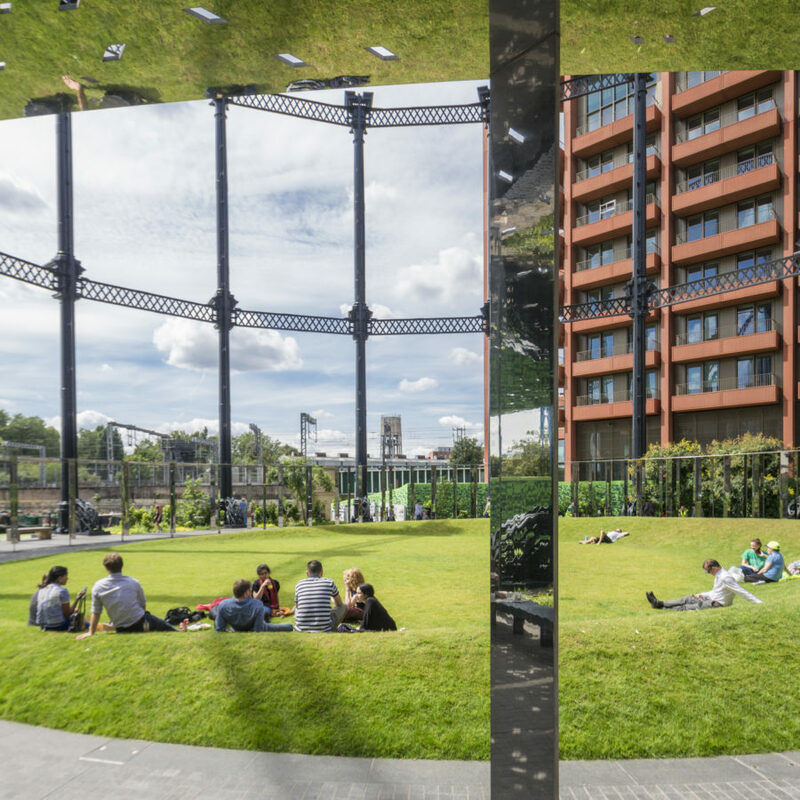 Gasholder Park is a part of the King’s Cross Central development, aiming to regenerate and bring new life to the area. 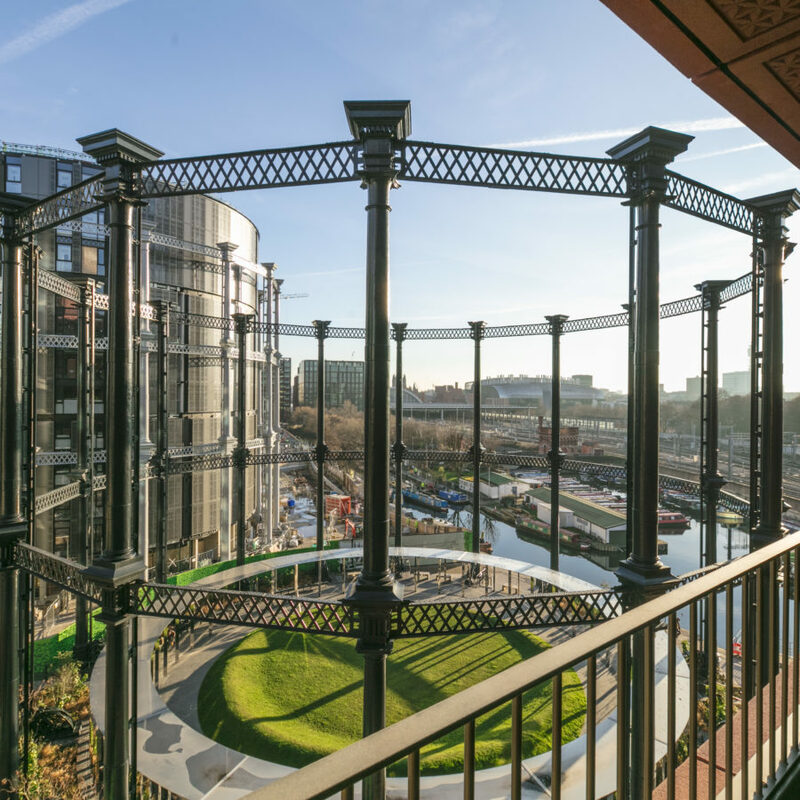 The proposal involves the restoration and relocation of a Grade II listed gas holder that has been given new life as a flexible public space, providing a unique environment for events while incorporating a strong sense of connectivity through the greater site. 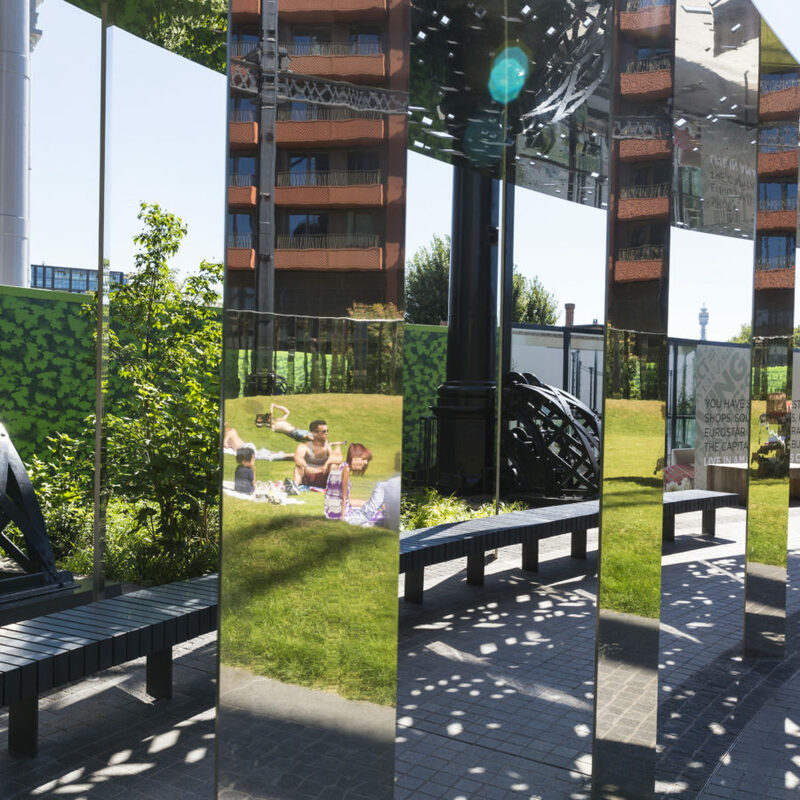 Inside the frame, a central lawn is encircled by a pathway which is covered by a stainless steel canopy, featuring mirrored and satin finishes.